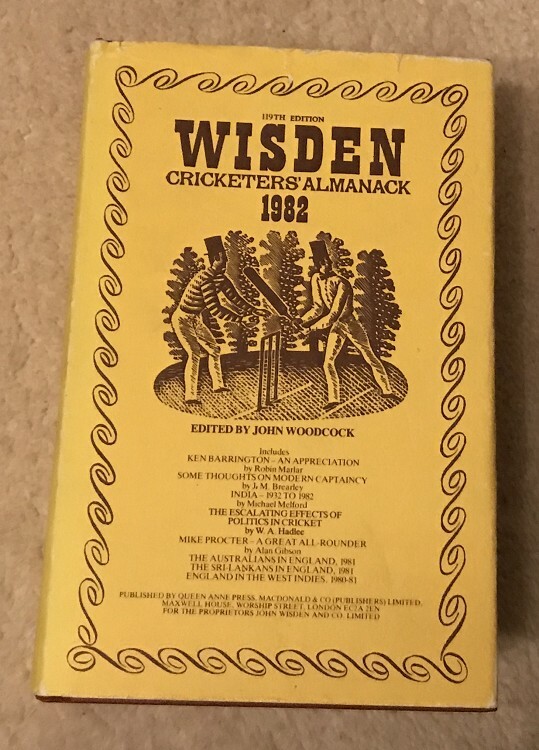 This lot is a 1982 Wisden Hardback & Dust Jacket in Very good condition for the year. This is one of the worst years in terms of condition that Wisden have ever produced. The DJ is a bright yellow with ruffling and a nick to the top of the DJ , the spine is faded slightly , a lot better than many and the internal book is really good for an 1982 The page block isn't spotty and the pages are clean. Please see the large photos. Other 1982s available if required, just ask.